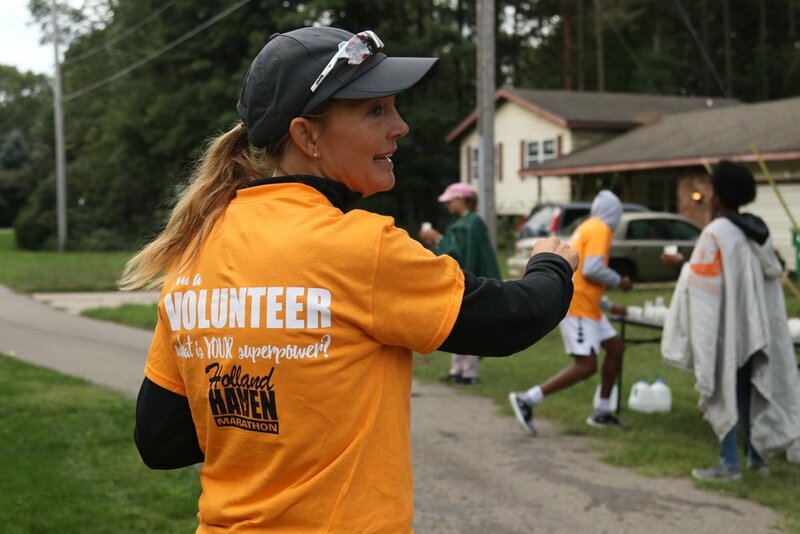 There is no better way to give back to your community and have fun doing it than by becoming a Holland Haven Marathon volunteer. It is only through the efforts of hundreds of volunteers that the Holland Haven Marathon happens. Enjoy the satisfaction of helping to promote healthy living and to aid in raising funds for local charities. Every volunteer receives a FREE Holland Haven t-shirt and get access to everything at the afterparty! It takes over 300 volunteers to orchestrate and support the Holland Haven Marathon events. There are volunteer positions for every type of person. Whether you want to be at the center of the competition or behind the scenes. It’s also a great way for families, clubs, and civic groups to participate in a great community event. For students looking to earn community service hours, volunteering earns both hours and a free shirt. EVEN BETTER, if you are a member of a 501c3 organization and you at least 5 volunteers the Holland Haven Marathon will make a charitable donation to your organization. Contact our Volunteer Coordinator for more information.